How Tired Is Your Rideshare Driver? Home » How Tired Is Your Rideshare Driver? If you’re out on the town or navigating a new city, ridesharing can be a quick, affordable transportation option. With a few swipes and clicks, you’re on your way. But as you sit comfortably in the back seat, have you ever wondered how your driver is feeling? Or how much sleep they’ve gotten lately? In a new statement published in the Journal of Clinical Sleep Medicine, the American Academy of Sleep Medicine (AASM) asks that exact question. For the AASM, drowsy driving with rideshare drivers is a “public safety risk.” The organization implores ridesharing companies, government officials, and law enforcement to work toward combating drowsy driving in the ridesharing industry. Drowsy driving is a killer on the roads. The National Highway Traffic Safety Administration says that drowsy driving was the cause of an estimated 846 vehicular deaths in 2014 alone. According to The AAA Foundation for Traffic Safety, that number could actually be much higher. Their estimates suggest there are 328,000 drowsy driving-related accidents each year, and an estimated 6,400 of these prove fatal. 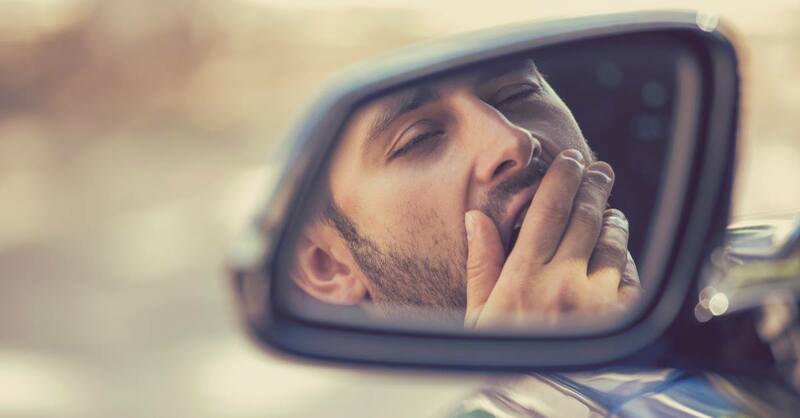 There are a couple reasons why drowsiness is especially prevalent with rideshare drivers. First, many rideshare drivers have another primary job. Because of this, they will often drive after already having completed a full day of work, mainly at night. This means many rideshare drivers are cruising around in a sleep deprived state and with disrupted circadian rhythms, which can lead to drowsy driving. While some companies do require rest periods after extended driving hours, this is sadly not the norm in the ridesharing industry. Second, unlike taxi and bus services, there is little official regulation of ridesharing. While taxi and bus drivers are screened for possible sleep-related conditions such as obstructive sleep apnea, rideshare drivers are not. More studies should be conducted to explore just how much rideshare drivers are actually working, when they are sleeping, and how much. Rideshare drivers should be educated about the risks of drowsy driving and the importance of a regular sleep schedule. Lastly, the AASM maintains that the ridesharing industry must be regulated just like similar services within the transportation industry. Limiting work hours and screening for sleep-related conditions could cut down on drowsy driving in this niche. The idea is that implementing these strategies will go a long way toward making ridesharing not just easy and affordable, but safe as well.